Aluminum coil can be divided into cold rolled and hot rolled aluminum alloy, the main difference between them is anodic oxidation, hot rolled aluminum coil can be anodized. Cold rolling aluminium coil and hot rolled aluminum roll have different application, cold rolling aluminium coil used in mold, while hot rolled aluminum coil is suitable for stamping tensile aspects. To the same material because of the different craft, its physical properties vary widely. Aluminum coil is mainly used in decoration industry, and has become a new decoration trend. But on the market, there are many aluminum coil supplier, some of them are formal and worth to be trust, but others are likely to supply bad quality products,so consumers have a headache about how to choose a better one, do not worry, this article is helping you choosing the right product. 1. When you are choosing aluminum coil, you should observe the surface of the aluminum coil and color, whether the appearance is smooth,whether the color is gorgeous, if the answer is yes, congratulations, you have finish the first step. 2. 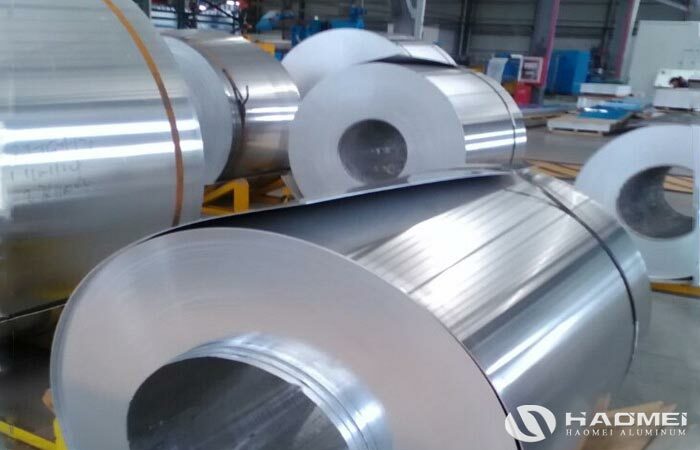 Aluminum coil have two kinds products according to the surface, double surface and single surface, so if you are going to purchase double surface aluminum coil, do not forget to check the other side appearance. 3. Aluminum coil glue line is neat, if aluminum coil is used to decorate buildings surface, usually there must be the width of gap. 4. If you find the aluminum coil is deformation and has drum of appearance, don’t choose and buy, these are all defective goods. 5. To analyze the aluminum coil. Aluminum coil suppliers often supply producing process technology, use it to check if the aluminum coil has itself quality problem.